Bangalore is one of the pioneering cities in India that has increased the engineering seats in the colleges to meet the huge demand of the engineering aspirants. Diploma students who aspire to complete their B. Tech degree can now get direct admission in the second year of engineering. Karnataka Examinations Authority holds a common test for the diploma students. Having a good percentage and marks will help a candidate to get admission in the best college. A diploma course in engineering makes candidates learn the fundamental concepts. To get direct second year engineering admission, an aspirant has to pass his diploma from a polytechnic college in engineering discipline. This is not an easy task to get admission in any good institute as choosing the right institution will let you grab the better opportunities and options. Direct admission or lateral entry allows the diploma students to pursue B. Tech program in various engineering specializations. There is no significant academic difference in both these options. After completing the diploma of 3-years, students get admission in 2nd year. The entry examinations are different but the subjects are same. Apart from this, pursuing B. Tech after diploma is easier as the students have already completed their engineering diploma. As far as job opportunities are concerned, both programs are in demand in the job market. The lateral entry admissions are also offered same opportunities as the regular graduates. According to experts, the practical and core subject knowledge gained in the diploma program helps the diploma students to understand the machines better. 1. HKBK College of Engineering: A leading engineering institute in Karnataka that aims to create today’s pioneers and the leaders of tomorrow. This is one of top ranked engineering college that has the best infrastructure, faculty, facilities and offers the best quality education to the students. If you are looking for the direct admission in second year engineering colleges near Yelahanka in Bangalore then considering HKBK is the best option. 2. 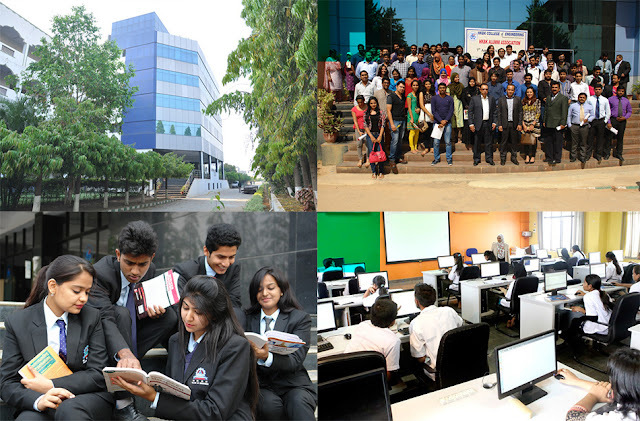 RV College of Engineering: This is one of the top engineering colleges in Bangalore offering direct admissions in B. Tech in second year to the diploma holder students. Affiliated to VTU University, the institute is approved by AICTE, UGC and also ranked AAA+ by NAAC. 3. MIT Bangalore: MIT is a reputed engineering institute in Bangalore that enables candidates to get lateral admissions in B. Tech in second year after their diploma program. Students at MIT get an enhanced learning experience through their unique pedagogy that combines classrooms sessions with experiential learning. The entrance test for direct admission is held in the month of May and students can book their examination date online. 4. Sai Ram College of Engineering: This is an AICTE approved institute offering direct second year engineering admission to the diploma students. Students are required to apply for the entrance examination online and they should have secured a minimum of 45% marks in their diploma course.